Besan ladoo recipe - Today I am going to share a traditional besan ladoo recipe of Maharashtra. During the Ganesh Chaturthi festival, sumptuous sweet like besan ladoo for prasaad in naivedya thali definitely would make a traditional delight. During Deepavali festival the aroma of besan ladoo spreads from every homes of Maharashtra. This fabulous ladoo adds flavor to festivities too. 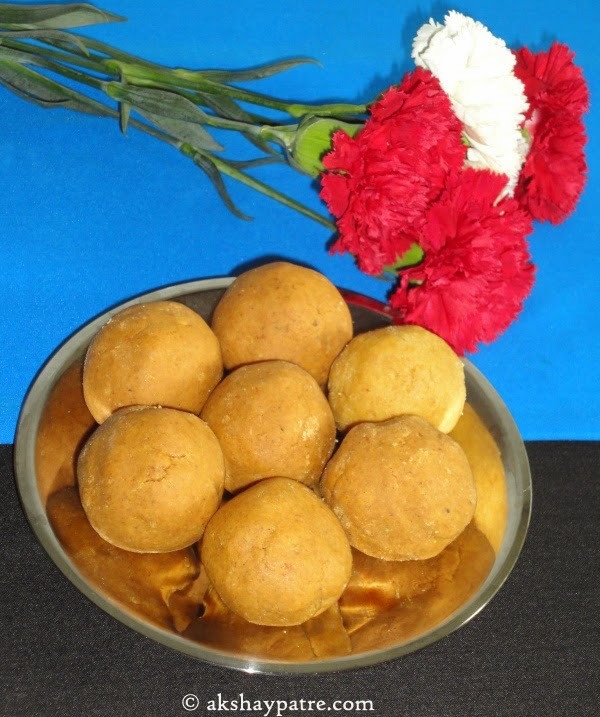 This ladoo is very easy to make and the preparation is flexible. You can adjust the besan, ghee and sugar at any time to bind the ladoos perfectly. To make proper delicious ladoo, gram flour or besan must be fry properly. You need to fry them on low flame till they releases flavor and turn to light golden colour. If the besan is raw and not fried well, the ladoo gets spoiled very easily within short period. Otherwise this is a durable ladoo which can be stored for about a fortnight at room temperature and another ten days in the refrigerator. As the name suggests, besan is the basic ingredient of this ladoo which releases an excellent flavor and fabulous taste when fried in ghee. In combination with sugar, it turns into an absolutely beautiful and extremely delicious besan ladoos, perfect for a festive occasion. 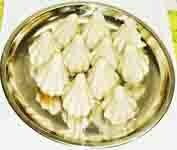 Check out some other ladoo varieties here. Sieve the besan and keep it aside. Put the sugar in a mixer jar and grind it to a fine powder and set aside. Heat 1/2 cup of ghee in a pan and melt it. Add the besan and fry till it turns golden colour and aromatic. Keep stirring continuously to prevent burning. Once the besan turn to golden colour, transfer it to a large plate. When the besan becomes warm, melt the remaining ghee on a low flame and add it spoon by spoon to the fried besan. Do not pour the ghee at once. Excess ghee will make the besan too soft. Mix the besan and ghee well with your finger tips. Once the besan and ghee combine well, add the powdered sugar and cardamom powder. Combine well with your finger tips. and slightly knead it. Then take hand full of besan-sugar mixture and shape it into a ball. If required, add some more melted ghee to bind the ladoos properly. Store the besan ladoo in an airtight container. It can be stored for about 2 weeks. looks perfectly shaped ,yummy laddus !! I can gulp some now.